This is what I’ll be doing on Monday. I really love it! I think my kiddos are going to love him. Do you know about using embroidery floss? I vaguely remember embroidering something long ago… but I have used embroidery floss forever for tons of stuff that has absolutely nothing to do with embroidery. It’s super cheap. Very colorful. Easy to store. It works great for smaller projects where that thick, chunky yarn is a little too much. It works great to add just the perfect amount of color and thin string for the balloon on this project. I hope you love my little New Year’s Penguin. It’s a great, simple mini-lesson on the term “resolution” and a super cute craft all in one. The little balloon he’s holding is actually a little writing activity. You can pick up a copy at either of my stores. Super cute penguin! My mom used to cross-stitch a lot so I think I need take her old embroidery floss off her hands for her…I'm sure it's just sitting in a box somewhere…waiting to be used! Thanks for the tip! 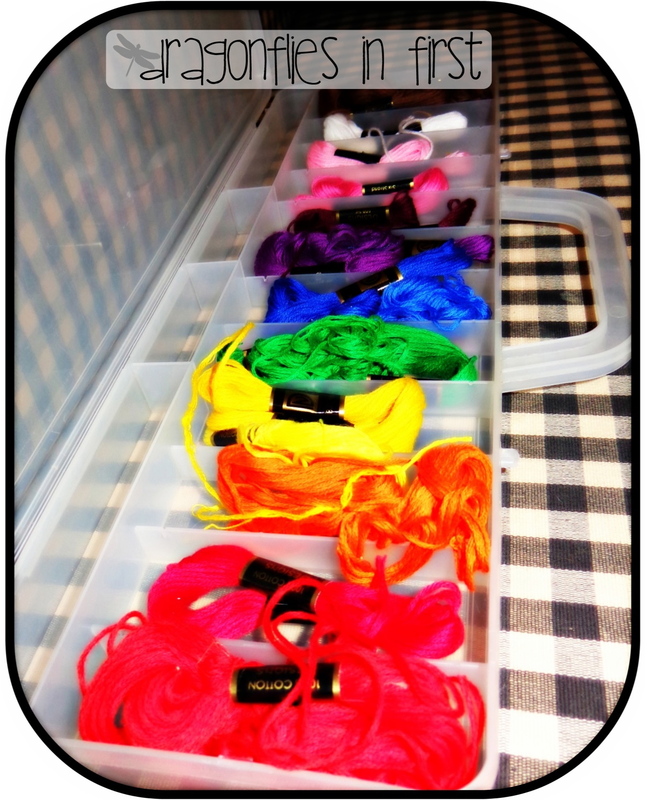 I have a ton of embroidery floss in my craft closet. I should consider using it for other things…because the projects I bought them for apparently never were finished. lol. Your penguin craft looks adorable. So cute! Thanks for the idea about embroidery floss, I hadn't thought of that stuff in years. Happy New Year! Adorable! I never thought about using embroidery floss. Penguins are the perfect choice for the darling New Year's craft! You always have something cute up your sleeve! Awwww….super cute! Love the embroidery tip!! Thanks! Those penguins are adorable! I forgot all about embroidery floss! I used to use that to make friendship bracelets in elementary school! TOns left from when my niece and I made friendship bracelets by the dozen! Cute penguin! He's super cute Traci! Hope you had a wonderful holiday and are enjoying every precious second of the break! On my way to move the floss from the giveaway box I was going to put in the faculty room!